Two week ends ago I went to a big golf competition with my parents (Nordea Masters at Barsebäck Country Club), it´s an annual golf competition where many golf players from all over the world come and play golf, and I must say it´s quite fun walking around and follow all these golf players. I didn´t really know the names of the golf players (I have a memory like a gold fish unfortunately, altho I did know the names of the Swedish golf players if that counts for something…=) and I don´t know that much about the sport itself (I mean details and counting the numbers and such), but there´s something about sport events that I love. I think it´s all the positive energy and all the excitement that does it. First of all everyone´s in a happy mood. Ok, I´ll rephrase that; everyone´s in a really good mood, so it´s impossible to be in a bad mood when you go there, or at least impossible to stay in a bad mood. I walk around and I see so many people smiling and laughing, and if I was in a good mood before I came to the show, I become in an even better mood when I see all the smiles and laughter. Number two; I get really excited in the morning because I analyze my own clothes and I try to figure out what to wear, cus obviously I want to look my best when I am among all these sporty people. 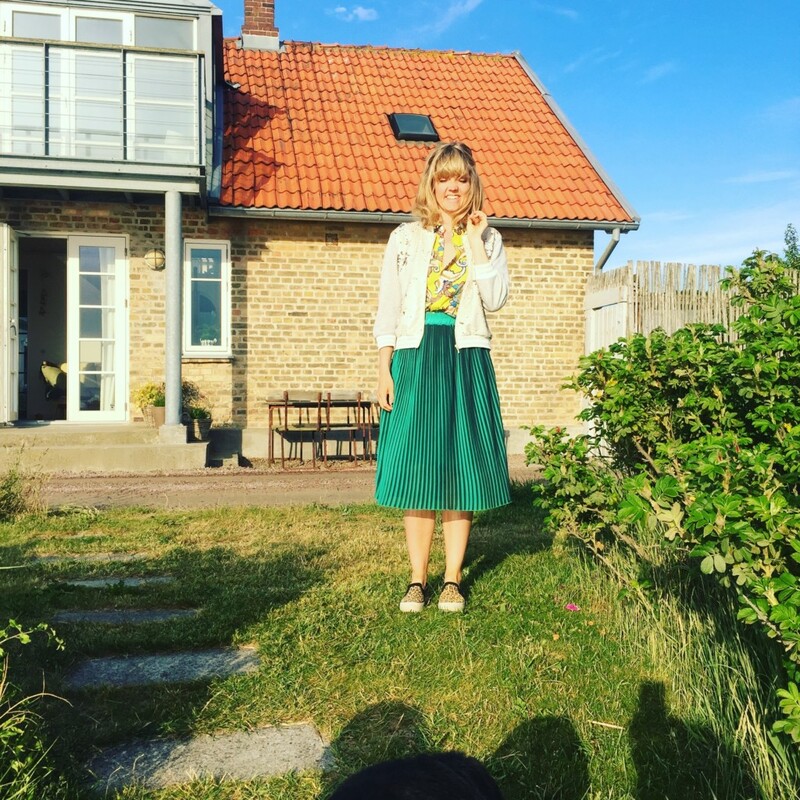 And I come to a conclusion that my green knee-length skirt (with a yellow top) is the best outfit (not very sporty tho but still good enough according to me), my small jacket with small silver sequins on that I bought in Palermo, Sicily last summer and my shoes with leopard prints on. And the last one; people are too happy to be inpatient when they stand in line for food & drinks. Swedish people are usually very impatient when it comes to waiting in line (or for anything really) but when it comes to waiting for food at sport events it´s as if everyone forgets about being impatient and they focus on the food in stead. So people are just very happy in stead which is pretty nice, because you won´t have to deal with anyone being annoyed while they stand in line, and people are happy to chat with the one standing behind them (which can be a rare case other wise in Sweden). So basically everyone is just happy. Besides being the only one who wore a skirt to this event it was really nice to wear this skirt (because I feel so pretty in it), and when the competition was finished for the day and me and my parents were leaving the area a woman (a woman who take ur tickets when you enter the area) said: ”I recognize you, I´ve seen you walking around here today, you are the one with that really pretty skirt.” I was so surprised to hear that, I had no idea she had been thinking that about me. It was so heartwarming to hear that compliment, becus being the only one who wears skirts to these kinds of events is not always so easy, so getting a compliment was really exactly what I needed to hear. And I almost didn’t hear her saying it because I was in my own little world when we were leaving the area, it was actually all thanks to my mum who heard this woman saying it so my mum poked me so I would pay attention to what the woman was saying. I´m so glad I did. It lifted my (whole) spirit. And it also gave me a bit of confidence when it came to my way of dressing myself. Because it´s not always easy being the one who always wear different kind of outfits, at least not here in Sweden, and usually I´m quite confident in what I´m wearing and what I´m mixing & matching, I don´t think too much about what people will think of me (when it comes to what I wear), but there are days when even I have bad days and that´s when these compliments mean so much to me. So when I have my bad days and I think I have nothing to wear, I sometimes go down memory lane and I bring back these compliments that (usually) strangers have given to me and I smile and I get back my confidence.